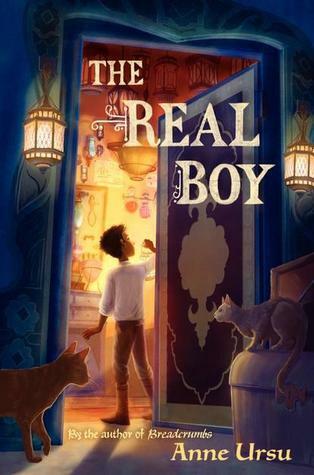 Today, we are thrilled to host a stop on the blog tour for Anne Ursu’s newest book, fantasy middle grade novel The Real Boy. We are huge fans of Anne’s (having read and loved Breadcrumbs), so were thrilled when we were invited to take part in this tour. 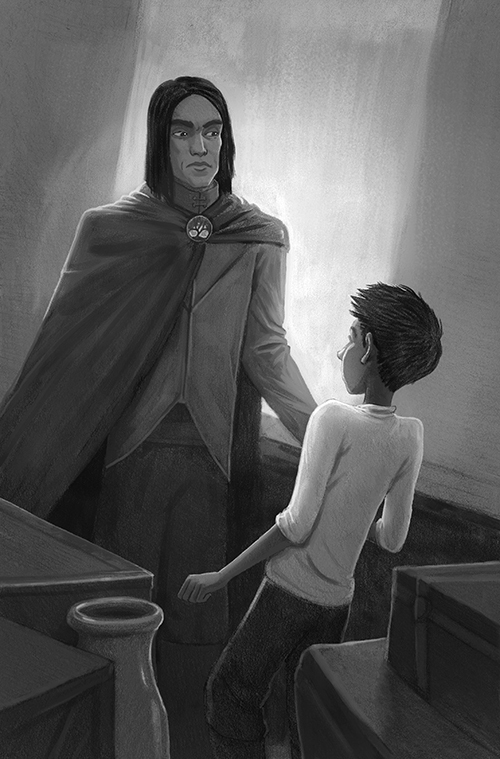 And now, without further ado, we’re thrilled to present one of the illustrations from The Real Boy, plus an excerpt for our stop on the tour. He lifted his hand high and—crack—slapped Oscar on the cheek. Oscar’s palm flew up to his face like a startled bird. His cheek roared, and it felt like a bottle had shattered inside his head. Oscar held his cheek and tried to blink his brain back into place. Caleb was right: his loyalty was all he had to give. He began to make his way to the basement, below ground where he belonged. That was it. He couldn’t say it. It was his one chance, and he could not commit the truth to words. Oscar nodded slowly. At least it was the truth. He walked into the back room, and down the stairs into the dark cellar. His pantry awaited him. This was what he’d wanted. Even though his cheek stung and he could still feel Caleb’s fury lashing at him, he should have felt relieved. He had his four walls and ceiling back, his small little days, his mortar and pestle and his beginnings, middles, and ends. There would be no more shop, no more customers, no more journeys to the City, no more world shifting under his feet. He had it all back, everything in its place. He should feel relieved, happy. 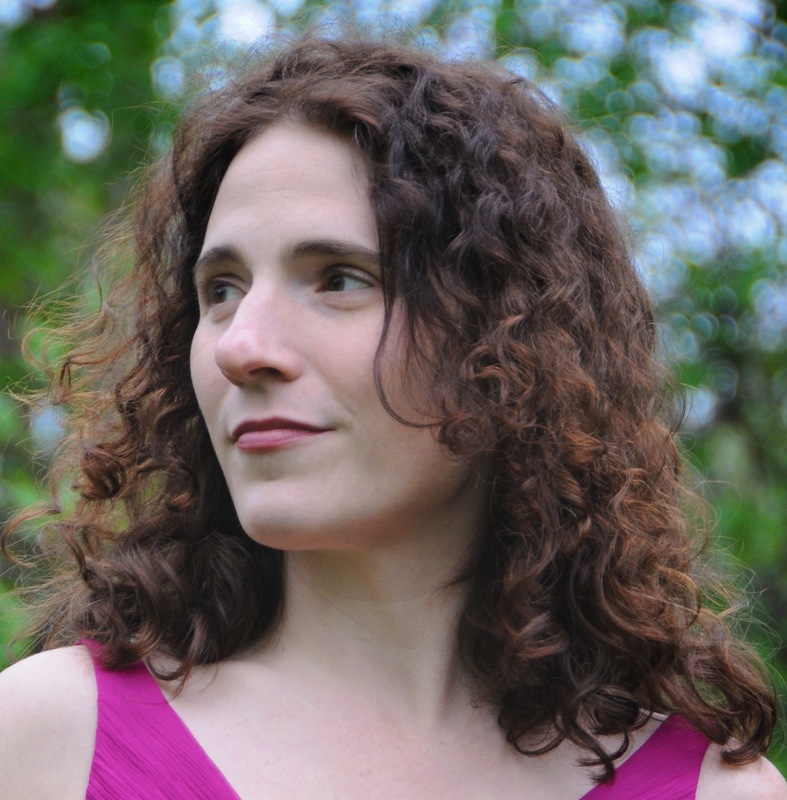 Anne is the author of Breadcrumbs, a contemporary retelling of “The Snow Queen,” and the three books in The Cronus Chronicles series—The Shadow Thieves, The Siren Song, and The Immortal Fire. She has also written two books for adult readers. Anne teaches at Hamline University’s MFA in Writing for Children, and lives in Minneapolis with her young son. You can find out more about Anne on her website, or follow her on facebook and twitter (@AnneUrsu). Make sure to stick around as later today we review The Real Boy! So happy I saw this! I love Anne Ursu’s books, but I hadn’t heard of this one. C= I can’t wait to read it.